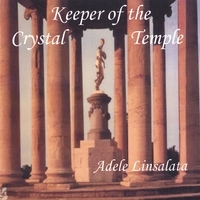 Now, you are set and ready to go onto the next level in your work as I introduce for all those who love their Crystals in “Crystal Temple of the Heart” where I guide you through meeting the Keeper of the Crystal and the Crystal Healing Temple. In the Keeper of the Crystal, this is the most awesome way for you to meet the Keeper inside each crystal you have that is with you, as you journey into the heart of the crystal to meet and see who the keeper is and why you both have chosen each other to work with, what your crystal keeper looks like and so much more to experience. This is a true walking through the elements of the crystal that I love doing this meditation with my students in each new class I start. On to journeying through the realms and entering the Crystal Temple of Healing where once the Archangel Raphael will be joining you to assist you in the healing that you need as he works with you to remove that which you are still holding onto, to taking your healing to a higher level of cleansing. Giving all to Archangel Raphael and the healing angels of Love.